TOP will sell TVNZ (which is now a commercial operation) and use the proceeds to set up a Public Journalism Fund as part of NZ on Air. The existing Platinum Fund money will be folded into this. RNZ will be able to compete for this funding alongside other platforms. I think this is the wrong approach and one that is ultimately counter productive. Attempting to have this discussion online in snippets of less than 140-characters wasn’t helpful, so I’ll try to elaborate here. I am not a politician. I have no special insight into the nature of broadcasting. I understand technically how TV is made, and I think I have a reasonably good understanding of the business of TV and also, to some extent, the way we consume TV. It’s often pointed out, whenever discussing the potential of selling TVNZ, that it really is nothing but a commercial broadcaster. It’s basically a more successful Mediaworks (but without all the radio stations). It spends money on making and acquiring TV shows, and earns money from advertisers. It returns the money it makes to its shareholder, the government, in the form of a dividend. So then, if it’s no different than TV3 (sorry, +HR=E) why should the government own it? That’s a very reasonable point – while it operates in that way there really is not compelling reason for it to be in public ownership. But, the main thing that’s perhaps overlooked is that this doesn’t have to be how TVNZ operates. While it’s publicly owned its mission can be changed. It responds to the instructions issued to it by the government. What Did TVNZ Used To Be? TVNZ has moved through many incarnations, but for the last 30+ years it’s been largely a commercial-ish operation. Playing commercials to generate revenue. What has varied most is how the company has been tasked with delivering a public good to its audience. During the 1980s and 1990s TVNZ found itself becoming increasingly profit focused. A deviation from it’s early years as a purely public broadcaster modeled in part after the BBC. Then in 2003 after substantial movement toward broadcasting reform the Labour government gave TVNZ a Charter which established the broadcaster’s role in addressing the public good. TVNZ was still commercial but now had clear public service objectives and obligations. How well the Charter worked can be debated, but it generally struck a reasonable balance between commercial operations and public service objectives. Ahead of the 2008 election the National party made policy to remove the Charter, and after winning the election the Charter was finally abolished in 2011. Since then TVNZ has been a purely commercial broadcaster with no obligation to the public good at all. All programming decisions are ultimately profit based. The biggest problem with trying to determine how best to deliver public service broadcasting is deciding exactly what that is. The policy documents from The Opportunity Party are focused purely on journalism. To me this seems like a narrow-minded view of the ways in which a public service broadcaster can serve the public. Beyond simply informing the public there is also benefit in entertaining the public. Currently NZ On Air does an admirable job of this, and since TVNZ was returned to its commercial operation NZOA has made itself available to all broadcasters in hopes of reaching the widest audiences. But ultimately as broadcasters are almost universally commercial (Maori TV is the exception) there are commercial realities that mean certain types of programming simply don’t get made. My view is that TVNZ should be used in it’s current form to provide a platform for content that might not always be commercially attractive. But beyond that I think it should be expanded to also address purely public service interests. To deliver programming without any regard to traditional commercial metrics. I have a pretty simple (I think) plan for what I would do if I were suddenly in charge. TVNZ would return to something closer to it’s pre-2008 model. TVNZ 1 and TVNZ 2 should remain as commercial channels, competing head-on with Mediaworks and others for advertiser money. However Charter-style public service considerations should be returned with a certain amount of airtime expected to meet public interest needs even if not the returning the highest potential profit. This serves to put quality public interest programming on the platform where it’s most likely to attract an audience. Additionally one or more purely public interest channels should be established. This is basically what we used to have with TVNZ 6 and TVNZ 7. Channels where the objectives are different. Where programming can be more niche and specialist. Where there are no concerns about advertiser conflicts of interest or commercial ratings. I would have TVNZ stop returning a dividend to the government. Instead all commercial profits would be used to fund the public interest operations. Public service broadcasting would be funded by all commercial broadcasters. Mediaworks, NZME, Sky and others would all be charged some form of license fee or operational levy for the right to broadcast commercially in NZ. That revenue would form a fund for all public broadcasting. Radio NZ, TVNZ’s public service operations and Maori TV. Why Not Sell And Restart? Some people suggest that we should sell TVNZ and use the profit to start fresh, with a new public service broadcaster, or expand Maori TV to have a wider remit in it’s public interest broadcasting. This would definitely be an option, but it seems to me that it’s squandering a lot of resources for no good reason. TVNZ isn’t a commercial broadcaster by nature, it’s a commercial broadcaster by instruction. It’s what the government has told it to be. It can be told differently by the government. If we sell TVNZ then we lose that ability – it no longer takes instruction. Letting go of TVNZ isn’t just selling buildings and equipment (although there’s a LOT of equipment) – it’s selling market share. TVNZ’s two main channels regularly command more than 50% of the viewing audience between them – often even more! Starting a new channel means starting with no audience. Maori TV has been broadcasting for 13 years, and while it has a specific focus on Te Reo, it’s also a general public service broadcaster. It currently commands a minuscule audience when compared to its commercial rivals. Similarly, TVNZ’s non-commercial channels TVNZ 6 and TVNZ 7 never managed to attract significantly large audiences. If part of the goal of public service broadcasting is to reach a wide audience then it makes sense to go where that audience is – and luckily for us, we already own the channels that attract the biggest audiences! People often deride commercial TV has being populist. I don’t think that’s a problem. Public interest broadcasting doesn’t have to be unpopular or exclusive. It can be many things, including popular. Often when we have the discussions people think only in terms of investigative journalism (this seems to be the case with Gareth Morgan) or academic documentaries. But public service broadcasting is more than that. It’s seeing ourselves and our culture reflected on screen – this has been NZ On Air’s objective, and with opportunities to do the same thing but without commercial pressures we can deliver even more of that. Look overseas to the BBC, PBS and Australia’s ABC. Their programming runs the gamut from wildly popular pulpy entertainment (Top Gear) to “important” journalism and documentary. The same should be the case here. Public broadcasting is more than just investigative journalism and stuffy documentaries. But we still need a home for that too! This unusual tweet showed up in my timeline yesterday… It took me a minute to even figure out who they were. But then I remembered – they were a “social media agency” I’d called out for spammy auto-tweets nearly a month beforehand. On July 1st by Twitter account became verified. Among the tweets I received was on from GM Agency Group saying: @DylanReeve Congrats Dylan! You met the criteria for Twitter Verification, you’re now officially verified. When I looked at the @gmagencygroup timeline there were dozens of identical tweets (almost all since deleted) to other newly verified accounts. So their claim of harassment nearly a month later was curious, as was their very unusual method of making it. It’s not unlike when people write their own dubious legal threats but CC their lawyer. 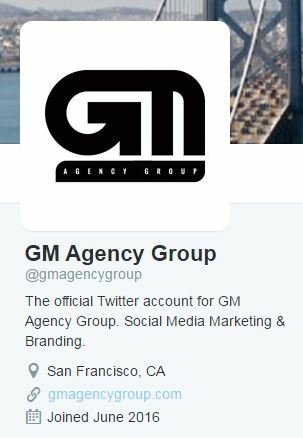 So, who are GM Agency Group? Well, they claim to be a social media marketing and branding company based in San Francisco. Their Twitter account was created on June 17th, and their website (gmagencygroup.com, which redirects to their Twitter account) was registered, anonymously, two days later. They only follow 211 people (as I write this) yet have about 18,000 followers. TwitterAudit.com says that only 33% of those followers are fake but, given that the vast majority of their timeline consists of fairly random retweets from high profile accounts, it seems questionable. They also have a Facebook page… It has 501 likes. Their first post, on May 30, has 321 likes and no comments. Neither of their other two posts have any comments or likes at all. Westley West is a real pastor at Faith Empowered Ministries in Baltimore. But that’s as much as I can figure out. There’s no obvious reason that he would also be claiming to be running a social media agency from San Francisco? What about the company itself then? 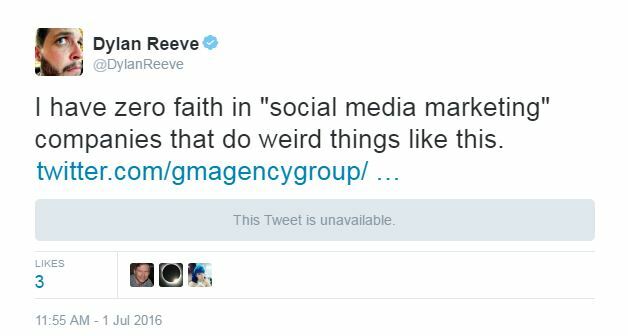 Well a Google search for GM Agency Group find almost nothing aside from their tweets and references to them. There’s no sign of a California company called GM Agency Group either. And their logo… It appears to be stolen from a European company called GM Media. 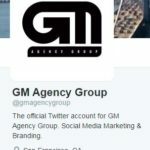 So what is GM Agency Group? If they are a fake company then what is their goal, and why do they care about a month-old tweet I made critcising their tactics? If they are a real company then who are their clients, and how can they claim to have any expertise about social media when they can’t even demonstrate an ability to use it effectively? I spend way too much time thinking about the future of television (and to a lesser extent, film) in the modern digital environment. I have a background in the internet industry having worked for one of NZ’s largest ISPs in the early days, I am a geek and a massive TV fan. These days my entirely livelihood is dependent on the television industry – I make TV. But I’m also a consumer. A tech-savvy consumer with a desire to be entertained – I seek content where I can get it. I’ve downloaded TV shows from places like The Pirate Bay (and on other platforms before those guys revolutionised piracy). I’ve been using US-based streaming services like Netflix and Hulu for years. So with all that in mind, my take on the recent decision by NZ’s main TV broadcasters and Spark to threaten legal action against two ISPs based on their provision of ‘Global Mode’ (a tool for bypassing geographic restriction on services like Netflix) should be pretty simple, right? Well, no. Not quite. Religion and Politics are usually high among lists of subjects that should never be discussed… Does that also apply to blog posts? Regardless I plan to tackle the subject of religious instruction in state primary schools, again. It’s something I feel increasingly passionate about. If you follow me on Twitter or are a Facebook friend you may have noticed. To me the idea of providing religious instruction in school, especially to 5- and 6-year-olds, is just wrong. I don’t care what the religion is, or how supposedly neutral the course is, it’s just not right. I want to see it stopped. Outright – not just in my kids’ school, but also in all New Zealand state schools. However that does not mean, as some would suggest, that I want to see school sanitised of any and all religious references. Of course schools will mark traditionally religious events like Easter and Christmas, but I also expect them to do the same with Diwali, Matariki and any number of other culturally religious celebrations that have an impact on the school community. The most common term for religious instruction in New Zealand is CRE – Christian Religious Education – sometimes abbreviated RE (to avoid the explicit reference to Christianity, one assumes). Although the names vary from school to school – it’s also called RI (Religious Instruction), Bible class, Bible in School, Values in Action and other things. Precisely what it entails is frequently misunderstood. Many of those posting in comments sections and providing vox pops interviews for TV news shows seem to believe it’s a class that provides some level of education about religions. It’s not. It teaches about only one religion, Christianity, and it doesn’t do so in an objective and detached way. The classes are taught by church volunteers with very little oversight, from one of a number of church-created syllabuses. While representatives of religious instruction providers will claim publicly that their programmes are not about evangelism, it’s hard to see any other reason. The programmes are targeted mainly at Year 1 and 2 students, aged 5 and 6. In better resourced areas the programme is extended to older year levels, but those will be dropped in favour of the earlier years if resources are limited. My children do opt out of the weekly CRE programme. Luckily at their school there are well managed alternatives for children who opt out, but in many schools that’s not the case. Parents are often told that “no one opts out” and “it would be a lot easier just to attend” – if they persist then their children find themselves with no clear alternative for the 30-minutes that classrooms are closed. In some cases they are virtually abandoned in the school library, in other cases they’ve been told to pick up litter, or even sent to the back of the classroom where the religious instruction class was taking place, as if being punished. This simply shouldn’t be a decision parents are forced to make, or a choice children are forced to cope with. It’s Just A Noisy Minority! In most cases it is a noisy minority on both sides of the argument. In the recent case of Milson School the Board reports that 64% of parents were in favour of religious instruction classes. What they don’t say is that of the whole school population only about 45 families returned their response. Of those 45 there were 64% in favour, although the questionnaire offered multiple options for the classes including before and after school. The remaining 36% were opposed to the CRE classes. In practice this means about 9% of the school was in favour, and about 6% opposed. 85% of the school didn’t bother to return the questionnaire. However proper actual research company UMR found that only 27% of those surveyed believed that schools should include classes on Christianity taught from a Christian perspective. It’s also worth noting that Christians in New Zealand are now a minority. At only 47% Christians are now outnumbered by those who are, in one way or another, not Christian. This is very different to the situation when the Education Act first declared the nation’s schools secular in 1877, where more than 95% identified as Christian, or 1964, when the Education Act was rewritten specifically allowing schools to “close” for religious lessons, where more than 80% were Christian. Would you still be as supportive of the idea of religious instruction in schools if the religion were not Christianity? Imagine that your child went to a school that started running a new religious instruction class. Provided by the local mosque it was effectively a Qur’an in Schools programme. It would teach children about morals and values through stories from the Qur’an. It would explain that Muhammad was God’s last prophet, and of course that Jesus was a prophet too, although not the son of God, and that he was never resurrected. Would this still be something you were comfortable with? You can, of course, still opt your child out, but they may have to sit alone in the library and they’ll miss out on all the fun games, activities and stories their friends get to enjoy. Also they will get 30-minute less class time per week (a total of 20-hours by the end of the year). I don’t suggest this because there is anything wrong with Islam compared to Christianity, or that this is somehow inherently worse. I suggest it because it’s exactly the same, except now, instead of being something they believe, it’s a completely different religion and set of beliefs. Of course this could happen – ultimately the decision to offer religious instruction is made by the school’s Board of Trustees. If the Board members were supportive of this idea, and a Mosque were willing to run the course then there’s nothing to stop it. The law makes no distinction about which religions may provide instruction. Why Should It Be Offered? While many are quick to offer reasons that the status quo should be maintained – it’s always been this way… We celebrate Christmas and Easter… People can opt out – there are fewer people offering reasons to offer the classes in the first place. Some suggest that many parents want their children to learn about Christianity – which is fine, but they are more than capable of teaching their beliefs at home, and of course there is always the option of Sunday School at their local church. Others make claims about the need for morals… Something something, youth of today, something something. Of course this ignores the fact that morals and values are part of the New Zealand Curriculum. They will be taught by classroom teachers in the class. Offering an optional, extracurricular, religious class can’t count toward that curriculum requirement. And, of course, there’s no evidence that being Christian or believing in God actually makes anyone a better person. I simply cannot see any reason that should justify a programme that takes children out of their normal classroom schedule for up to 20-hours a year to offer instruction in a religion. That is especially true when you consider the other impacts that programme has, such as forcing parents and children to make a difficult decision about being excluded from the activities their peers are participating in. Simply put: repeal Sections 78-80 of the Education Act 1964. You may notice that I mentioned the 1964 specifically. The Education Act is one of very few acts where there are two different versions in force at the same time. The Education Act was rewritten in 1989. If you review The Education Act 1964 as it stands today you’ll notice that almost all sections are repealed by the later 1989 act. As far as I can tell there was a deliberate decision made when redrafting the Act in 1989 to avoid including anything to do with religious education so that there would be no debate on that point. All the rest of the law was revised and updated, but that section was left entirely intact. I’ve had many conversations with friends about television in the age of the internet. I have a lot of thoughts about the future of television. One thing that comes up constantly is the frustration around the timed release and geographic boundaries imposed on television. In an age of worldwide communication and media on demand it just doesn’t seem to make sense, and even sensible people like TUANZ CEO Paul Brislen admit to illegally downloading television content. Even I’ve done it – television is the industry I depend on for my income and yet I’ve participated in online piracy of TV content. The obvious alternative then is to make it available to everyone, right? Just like iTunes and its competitors have largely done away with music piracy and also revitalised the music industry, couldn’t the same be done with Television. US streaming media company Netflix has come grown so big it accounts for, by some estimates, a third of US internet traffic – so why not just make it worldwide? Many people argue that because music has managed to do this then TV (and movies) should be able to also. Sadly it’s not that simple. The music industry is much less complex than television. While there are some different distributors in various geographic regions they are usually owned by parent record labels, or have exclusive arrangements with given labels. Even if that’s not the case, the rights issues for music retail are much less confusing and fragmented than television. Unfortunately the existing television business model is basically structure in such a way that international online distribution is impossible. Television is an incredibly complex business model – for a given TV show there is a large assortment of rights packages. The names and specifics vary but they are usually limited by a combination of geographic, platform and time-based limitations. For US network shows, for example, the domestic sales is only a small part of the revenue model, they also need to factor in the large potential earnings of international sales. For a company like Netflix (or Apple’s iTunes) to offer content internationally it would have to acquire worldwide rights for their platform – something that’s simply not going to happen. If we take a hypothetical show like Lost from a few years ago, the show is produced for a US domestic network and then various rights packages are available to international broadcasters. In New Zealand those broadcast rights (specifically free-to-air rights) are purchased by TVNZ to play the show on TV2, they also purchase rights for on-demand catchup screening. The rights package that TVNZ purchase will likely also include some form of exclusivity, so no Pay TV provider or video-on-demand service will be allowed to offer the content into that region until some set time after TVNZ has screened the show. These specific deals take various forms but they are primary market for TV programmes. Those broadcast rights, especially free-to-air, command the highest fees and, as such, they are protected. No other rights will be sold into a region until the distributor has either secured a primary broadcast sale or is pretty sure they are not going to (ie. all likely broadcasters have passed on the offer). So if broadcast is the hold up, why not try to get content on screens worldwide all at once? Simply because networks around the world have different content, different audience and different schedules. There are some practical issues too – in some cases episodes aren’t even completed until very close to their transmission date, meaning that there simply isn’t time to get things to international broadcasters in time. When I worked for TVNZ and they were screening Lost within 48-hours of it’s US screening we were receiving unfinished episodes for the promos department. Another issue is the US television calendar. TV in the US is a weird thing – shows frequently take mid-season breaks of up to six weeks, and sometimes shows will simply be off-air for a week to avoid conflicting with a holiday or major event. These types of breaks usually don’t fit with international broadcasters, so in most cases they won’t start screening a show until they can be sure they’ll be able to screen it without breaks. So because we can’t get broadcast happening at the same time worldwide we can’t get secondary rights (such as on-demand streaming and episode sales) happening at the same time. Okay so then why not stop treating broadcast rights as the primary sales channel, and look at focussing on online rights? Allow Netflix, Hulu and Apple to get rights to release shows simultaneously into many regions at once, regardless of the broadcast rights in those areas. Yes – I think ultimately this is the answer. But not yet. The fact of the matter is that broadcast is where the money is – those rights are the most expensive and therefore they will get top priority. Broadcasters are less likely to want to buy expensive rights to a show if that same show is already available in their market before they can screen it. I think that services like Netflix, and their ability to create their own high-quality content, are the answer in the long run. If you look at a show like House of Cards I think you can see the future. A show like that can be funded and produced by Netflix, they could immediately offer it globally to their subscribers. They can then go ahead and sell broadcast rights as a secondary option – being directly subscriber funded they are less concerned with the high premiums of broadcast licenses so can accept the lower prices the show will command as a result of being online already. Of course Netflix can’t do it alone. But luckily it doesn’t have to. Hulu is also commissioning original content, as are others. These companies are already making content without needing to relying on the income streams provided by international broadcast sales, they are therefore not concerned with undermining the value of those sales by making content available online first. Currently Netflix is, of course, only available in the US and a few other countries (unless you jump through a few hoops) but that’s largely as a consequence of the cost and difficulty of licensing content for new markets. As their in-house library increases it will make is easier for them to enter into new markets without having to make massive upfront investments in rights for those markets. The movie industry is a lot more like music in how the rights and distribution model is structured. There are certainly less layers of complexity and the overall worldwide ownership is similarly often centralised. However independent distribution is a little more common in movies than in music, which can certainly account for some frustrating delays in getting smaller features into some markets. Ultimately though the movie industry isn’t stuck the way the TV industry is. In fact it’s possible to “buy” and “rent” movies from a few different providers in New Zealand, including iTunes. The timing and availability will still depend somewhat on the local cinema schedule, but it’s getting better. It’s also increasingly common for features to become available in that way that we’d otherwise never have seen due to their inability previously to secure local distribution. However we still don’t see much in the way of online streaming (like Netflix) here because… well it’s chicken and egg really. The companies that want to provide those services need content to attract customers, and customers want content before they’ll pay. Spark – Our Great New Hope! Telecom, in announcing their upcoming reinvention as Spark also announced their intention to spend $20m establishing a new streaming on-demand TV service called Showme TV. Hopefully with that capital injection and Telecom/Spark’s weight and infrastructure behind it the new service will be able to break through the chicken/egg barrier and secure enough unique content to firmly establish itself as a viable provider. TV3 political maverick Patrick Gower has broken the news that a senior TVNZ manager ran aspects of his Labour campaign from within TVNZ. “TVNZ is being used as a campaign base by Labour Party activists,” Gower’s story begins, although the reality seems a little less dramatic. Shane Taurima, then head of TVNZ’s Maori and Pacific unit, held a Labour fundraising meeting within TVNZ’s offices (outside business hours it seems) and he and some of his staff sent some emails related to his Labour party activities from their TVNZ email addresses. This hardly seems to constitute a “campaign base” as Gower claims, but is definitely a misuse of company resources for which TVNZ is no doubt displeased. As a result of these revelations Taurima has resigned from TVNZ (I suspect he’d have been pushed if he hadn’t jumped). I’d guess that the others involved were also disciplined about their misuse of company resources. And ultimately that seems like it. I’ve no doubt at all that many political candidates have allowed their business and political lives to intersect in improper ways, but those are never an issue because their employers are probably not state-owned broadcasters. In the end it’s unavoidable that people have political opinions. This is true of broadcasters and journalists as much as it is of anyone else, but we expect them to temper their political opinions when doing their job, and we just have to trust that the do. The fact that Taurima was taking those political opinions to the next level by becoming directly involved in politics doesn’t really change that. The mistake that was made here, and it’s a big misjudgment by people who should know better, was to allow their political action to intersect with their employment, but the aggrieved party there was TVNZ, a company that has clear rules about what employees can and cannot do while at work and with their company resources. Some commentators have said that TVNZ was “allowing” Taurima to use the company for his political action, but that’s simply not what’s suggested by what’s been reported. Indeed he as resigned as a result. An interesting offer from New Zealand’s national air carrier – write for their website in exchange for… nothing. We’re searching for creative and interesting writers in the areas of Aviation, Travel, Health, Tech, Education, Lifestyle, Music, Film, Fashion, Food and lots more. We have re-launched and expanded Flying Social to offer even more interesting lifestyle content from around the Air New Zealand global network and from interesting people all around the world. In return for writing for the Flying Social team you will be featured as one of our contributors with a contributor profile page that has links to your social media channels and your content will be shared across Air New Zealand’s social media channels. Apparently, the reputational damage isn’t worth the modest sums it would cost @FlyAirNZ to pay people for their work. Now it’s fair that Air NZ might not have a cash budget to source content for their blog, but there must be a better option? Pay in Airpoints – The Air NZ loyalty scheme is great… Airpoints dollars are worth the same as standard dollars. So much simpler than the insane air miles that many carriers offer. How about 50 Airpoints for each published article? Discounts and upgrades – Why not let your valued contributors travel more often and in comfort? What about some simple discounts, maybe special offers for them? A complimentary lounge pass? Exclusive offers/competitions – Going to offer a special on travel to Singapore soon? Why not open up a chance for one of your proven contributors to win a complimentary weekend there! These simple offers would cost very little and allow contributors to be rewarded for their work (and it is work!) while also building a stronger sense of community. UPDATE: Air New Zealand has taken the criticism on board and say they’re reconsidering to come up with appropriate compensation… Good! Fingers crossed. We've heard your feedback re The Flying Social Network contributors. We'll re-think our approach & come up with appropriate compensation. “I disapprove of what you say, but I will defend to the death your right to say it” – Evelyn Beatrice Hall illustrating the views of Voltaire – frequently cited in discussions on freedom of speech. In this case I disapprove of what Whale Oil says, but defend his right to consider himself a journalist while doing so. In September a judge ruled that controversial blogger Cameron Slater’s Whale Oil blog didn’t constitute a “news medium” by it’s legal definition, and therefore he couldn’t claim the Journalist’s privilege of protecting his source in a defamation case. I don’t like Slater, and I can’t stand his blog or the frequently hateful comments posted by his readers, but I can’t see how the definition in question doesn’t apply to him. And, if it doesn’t apply to him then it seems reasonable to assume it also won’t apply to many other blogs that might otherwise have assumed they were able to protect their sources. public interest in the disclosure of evidence includes, in a criminal proceeding, the defendant’s right to present an effective defence. Evidence Act 2006, section 68, subsection 5. The definition for news medium is simple and also rather broad. It seems clear that the purpose of the Whale Oil blog is exactly that – dissemination to a section of the public news and observations on news. That’s exactly what his site does. Mostly it’s observations on news, but he does actively solicit tips from informants and publishes details of those tips as news. I’d tend to assume also that the definition of informant was relevant here. Surely the person in question who provided Slater with the hard drive that’s at issue in this case believed that Whale Oil qualified as a news medium (and by extension that Slater was a journalist) meaning their identity could be protected. People commenting on the case are hung up on Slater’s clear ideological bias, but I don’t think it’s relevant. The Evidence Act’s definitions make no mention of such things. Martyn Bradbury’s Daily Blog, which has been crowing over Slater’s loss, seems to be equally lacking in supposed news medium qualifications if Judge Charles Blackie’s ruling is to be considered a precedent. Personally I hope Slater wins his appeal on this point, as I think making subjective judgments on the value or quality of news to determine it’s legitimacy is a slippery slope. We can easily point the finger and chuckle when it’s someone we disagree with like Slater, but at some point it could easily be someone who we do like. A curious accusation was leveled at Kim Dotcom’s cloud storage business, MEGA, recently. The basic accusation – that MEGA was hosting illegal content – wasn’t especially new or exciting, but in this case the specific content managed to attract a very high degree of attention. We’re a small country so if there’s one thing our media like it’s to celebrate it’s kiwi success abroad. In this case New Zealand author Eleanor Catton won the prestigious Man Booker Prize. Overnight a young author became a celebrity, which is quite the achievement really. There are other things the NZ media is fond of too. Scandal and outrage are very popular. And anything involving Kim Dotcom is also a winner in the eyes of journalists around the country. So it should come as no surprise that a story involving the piracy of Catton’s award winning novel, The Luminaries, on Dotcom’s MEGA service was carried far and wide by New Zealand media. Amazingly it seems that almost every single story about the case only carried comment from the Publisher’s Association and the book’s publisher – no effort was made to get comment from MEGA or it’s CEO Vikram Kumar. The story’s genesis is surprisingly easy to track. It began on Thursday the 24th of October when Cameron Slater posted screenshots on his Whale Oil blog of two copies of the book being hosted on MEGA. The sarcastically titled post, “Kim Dotcom assists in solving the Booker Prize novel distribution problems,“ alleges that, after “a bit of poking around the Internet,” he was able to find links to the novel hosted on MEGA. 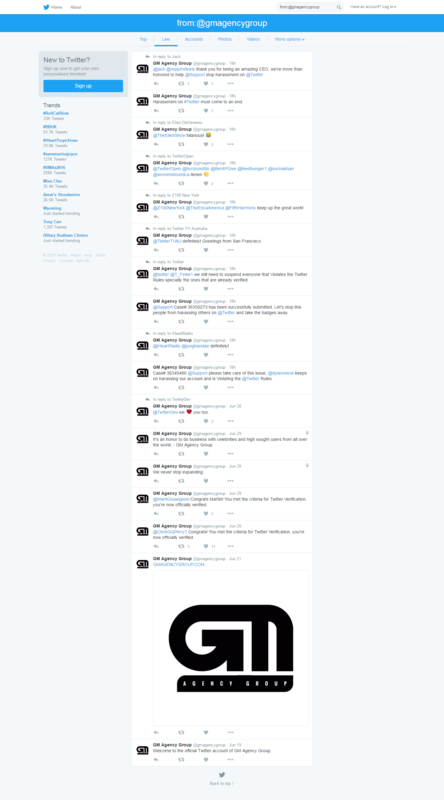 To prove the point he posted screenshots of the download screens for each file on the Mega site. No screenshots of the links actually being shared or indexed online were offered. From that point on the story was picked up and carried without question by virtually every news outlet in the country. None were interested in the technicalities or legalities of MEGA’a service, but seemed to accept the accusations that the company itself was somehow directly responsible. TV3’s The Nation even spent five minutes on the story with Elworthy as the only guest. In that time he managed to label MEGA a “pirate site” and suggest, directly and indirectly, that MEGA were some how directly culpable. And what of the pirate files themselves? The story gets even more interesting there – MEGA’s CEO Vikram Kumar saw references to the story when it first appeared on Whale Oil and, by looking at the URL visible in the screenshots, was able to identify the files in question. MEGA then, proactively, took those two files offline. At no stage, says Kumar, have MEGA actually received a formal notice about the files in question. MEGA’s immediate actions are noteworthy in themselves and show an obviously willingness to act on information they receive, but the story gets more interesting. From looking at the log files Kumar says that the files in question were uploaded, to a brand new account, and then subsequently downloaded only once… They were downloaded by the same IP address that uploaded them. Cameron Slater insists he downloaded the file (to verify it). MEGA says the only person who downloaded it was the same person (or IP address, at least) that uploaded it. What conclusion are we to draw? But even without that technical hurdle there is no way that MEGA could practically police copyright infringement proactively. For a start they see something like three million file uploads a day. Beyond the sheer scale there is also the complexity of legalities around copyright. There are many permitted uses and different people have, arguably, different legal justifications to have copies of various things. Even if MEGA could see the content of a file they’d then somehow have to determine what the copyright status of that file was (and in which legal jurisdiction) and whether the uploader of that file was, in some way, infringing on the rights of the publisher or author. That’s a complicated enough task for actual lawyers with real information, but somehow the staff of a cloud storage company should be expected to do it? The matter is further complicated by the fact that, no matter how many times the media say otherwise, MEGA isn’t a “file sharing service” – BitTorrent is a file sharing service – it’s only purpose is to share files. MEGA is a cloud storage service and, just like Dropbox, Skydrive and Google Drive, files stored there can be shared to specific users or with a public link. The simple existence of a file on the service doesn’t imply an infringement. A given user may have legal right to store a file on the service for their personal use, or even to share with others. For example, I could purchase the latest Louis CK standup special from his website, download it and then upload a copy to my MEGA account as a backup or to access from another device. So long as I’m not sharing that download link with others I am not infringing. But could MEGA know that? There are also content creators, even record companies, who use services like MEGA to share copies of their work for reviewers or even just a freebies for fans. Could MEGA tell the difference between them and a pirate? These are among the reasons that a takedown-on-notice approach is the only workable solution. Copyright owners are the only people suitably qualified to make judgments on these issues (and even then they make a LOT of mistakes) and the only one with a real legal authority to take action. Could MEGA do more? Technically they could probably take down some files they see linked from certain places, basically using an educated guess, but would they risk taking down legitimate files? I’ve written about MEGA and Piracy before – MEGA is not Megaupload, they seem to have no obvious way to profit from piracy so no motivation to encourage or overlook such activity. We spoke, at length, to Vikram Kumar about the issue and other related things on episode 4.32 of the Discourse podcast. 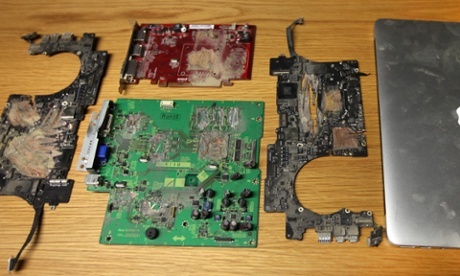 This image has appeared in a number of articles on the Guardian’s website in relation to their dramatic claim that UK government agents destroyed hard drives containing data from the Snowden leaks. Guardian editor-in-chief Alan Rusbridger described the event almost in passing in an opinion piece on David Miranda’s detention by UK authorities under Terrorism law – And so one of the more bizarre moments in the Guardian’s long history occurred – with two GCHQ security experts overseeing the destruction of hard drives in the Guardian’s basement just to make sure there was nothing in the mangled bits of metal which could possibly be of any interest to passing Chinese agents. “We can call off the black helicopters,” joked one as we swept up the remains of a MacBook Pro. It’s a dramatic retelling of the event and leaves the reader with the impression that GCHQ officers came into the Guardian offices, demanded the computers and then proceeded to smash them. Subsequent articles from The Guardian have added a little more context – it was a decision that Rusbridger took in order to placate the agency and avoid possible legal action. But still the story is dramatic – a senior editor and computer expert from The Guardian apparently carried out the destruction, under the watchful eyes of GCHQ technicians, with drills and angle grinders – the GCHQ agents directing which parts of the circuit boards should be attacked. Indeed in the pictures it’s obvious that many IC’s on the computer boards have been completely destroyed. Why?! File storage is a pretty well understood technology, especially by computer experts and, presumably, GCHQ technicians. Files are stored on hard drives – spinning metallic platters with a magnetic coating. While there are ways to extract the contents of files from RAM while a machine is operating, that memory is volatile – it’s basically useless once power is disconnected. Simply removing the physical drives from the computers and cutting them in half would have done the trick. Entirely destroying the computers wasn’t necessary. So, the picture. While there are various captions in different places the general impression is the same – the photo depicts the remains of “a computer” after the destruction. We can see part of a MacBook and it was a MacBook that was specifically mentioned in the first article. It appears we are to assume that we’re looking at the remains of a destroyed MacBook Pro. But is it? What we can see is part of the iconic casing of a MacBook Pro and some circuit boards. To the general public is probably seems about right. But it’s not. Firstly the MacBook in the photo is largely undamaged with only light scuff marks, in fact it even appears to be powered up as the Apple logo is glowing. While the two black board in the picture do appear to be Apple logic boards, probably from a MacBook Pro Retina, the green and red boards really do not belong in a laptop. The red board is a PCI-express graphics card from a desktop computer. The green board isn’t easy to identify, but to looks more like it belongs in a printer than a computer. It has a metal bracket attached and the components are very sparse. 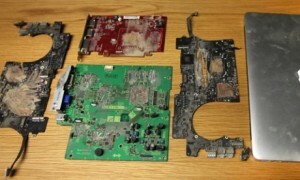 What we don’t see in the picture, surprisingly, are the remains of any hard drives. No casings, no platters. Nothing. Also the boards are completely destroyed – even the chips on the graphics card have been ground off. While graphics cards are very powerful these days, they do not store data. If destruction of data is the goal, a graphics card is not a target. So what is going on? In general I don’t think The Guardian is lying about the event, but as seems so common with their Snowden-related coverage, later articles paint a more nuanced picture of events. The GCHQ expressed concern that the files being held at the Guardian presented a target for foreign governments or hackers. The Guardian made the choice to destroy the copies they held in London. But the photo? Maybe it’s parts of a computer or computers they did destroy as described, but it looks like it’s a staged photo to illustrate their story. The MacBook in the picture isn’t damaged. Half of the parts aren’t from any laptop. None of the pictured parts have anything meaningful to do with the actual storage of data and the damage to them goes well beyond what might be necessary to make them non-functional. It looks like the destruction we’d expect to see if this story played out in some Hollywood movie where everything has to look more dramatic and difficult, because simply drilling a couple of holes through the platters of a drive isn’t exciting enough.